The United States Global Change Research Program released a major report called Global Climate Change Impacts in the United States this week summarizing the science and consequences, both current and projected, of climate change in the U.S. The study is the compilation of work done by 12 federal agencies, among them the Environmental Protection Agency, Department of Defense, NASA, and Department of Commerce. Focusing on specific geographic regions, economics sectors, and facets of society, the study is aimed at providing the best and latest information for society, government, and individuals. Makes you wonder how many conclusive reports showing a bleak future of climate change it will take until people start believing it and acting upon it. Amen, Global Changes. Thanks for the comment and the link to Oxfam. NASA’s Goddard Institute for Space Studies (GISS), run by Al Gore’s chief scientific ally, Dr James Hansen, announced that 2007 month October was the hottest on record. It soon came to light that the data produced by NASA to make the claim, and in particular temperature records covering large areas of Russia, was merely carried over from the previous month. NASA had used temperature records from the naturally hotter month of September and claimed they represented temperature figures in October. Research shows plants function best with CO2 levels between 1,000 and 1,200 parts per million (ppm). Greenhouses inject CO2 to reach these levels and achieve significantly higher yields as a result. This suggests that plants evolved to suit levels around 1,000 ppm and are CO2 starved at today’s 385 ppm. In fact, at 200 ppm plants begin to suffer and at 120 ppm they start to die. What is it with all those faer monger I need a grant scientists? 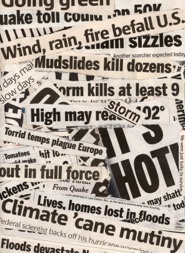 Are their predictions of total disaster just clumsy efforts to get noticed and published? And are journalists really so ignorant to the basic facts of biology? A lot of cherry-picking going on here – exactly what point are you trying to make? Stick to one idea and explain it well – that might be more effective. This is a post about an MIT study, what are your thoughts on that? (though I suppose I could hazard a guess). And please, the idea that a huge cabal of scientists are conspiring to “cook the books,” as it were, on climate change in order to secure grants is ludicrous and well-worn. Cite something substantial to support that tired old claim or leave it alone. Be very careful of calling too many people ignorant, lest you get found out yourself. And that’s all I’ve got for tonight. Thanks for playing. Your sight is full of substantial non reviewed reports, and I am cherry picking. Your whole felonious global warming theory is not arrived by science, but by consensous. So yes, seeing that those NGO backed members whom you mistakenly call a huge cabal of scientist, seeing that most are just envoirmentalists, are perpurtating fraud. So as far as playing, no this is real, people are on to it, and the gauge is the amount money spent trying to brain wash our kids. The connection of this eugenesist movement to wealth distribution is becomming clearer to the average person. I do not meet one person on the street who is not aware of this. The politicians are against the citizens wishes attempting power and tax grabs with this fraud. But that’s not going to work either, I suggest a new field. Now sorry if this dosen’t flow through your intellectual noggin, but you see I am just a lowly average man from Missouri. First of all, thanks for the line editing (corrected singular scientist to plural scientists) – thanks for caring. Now for my line edit – this is a site, not a sight. Since it appears you’ve thoroughly perused the site, I invite you to pick out all these “substantial non reviewed reports” to which you refer, and please include all the peer reviewed science that is referred to as well. I’m not really sure you’re as familiar with the site as you claim, but anyway, yes sir, cherry-picking. You’re throwing all sorts of ideas, unsupported claims, and really kinda crazy allegations to cobble together an argument that, as you might imagine, to my evil mind is untenable. In any case, as you well know since you’ve read my mission statement, people are encouraged to go from here and do their own research and their own thinking. I never once claim this site is the be-all end-all in climate research or policy debate. When I look at your comment I don’t really know where to begin: “All those NGO backed members… seeing that most are just environmentalists, are perpetrating fraud” Okay, so you’re the one that came here with these claims, and yet it is too much for me to ask 1) what exactly do you mean by “environmentalist” and 2) do you have any proof at all that “all those NGO members” are perpetrating fraud? Every last one of ’em? Why and how can you lump all NGO’s into one vast conspiratorial group? Where do you get this notion that “we” are all one big solid block of people out to get you? Where did this fear-based “us vs. them” idea come from for you? You really sat and thought this out all by yourself without any outside influence, along with everyone else you meet on the street? It must be a very sad place where you live. I grew up in the mid-west, and have several colleagues in St. Louis – I had no idea they were the only ones there that aren’t aware of the insidious movement taking over the country. I always thought there was more diversity of thought there. I guess not. Look, you obviously don’t really want to listen to a word I say here. You’re intent was to come here and start shouting. I did offer the notion that for me to explore other possibilities from what I believe, you must be willing to do the same. You apparently are not willing, so why should I be? Do you really think my beliefs (or anyone else’s) will be swayed by your arguments as they are presented here? Try to consider one thing (or don’t, it doesn’t really matter, I’m going to say it anyway) – did it ever once occur to you that I have come to my opinions and conclusions over years, decades, of personal research – long before you learned to hate Al Gore and even ever heard of global warming? Of talking with a variety of scientists in several fields. Of going out in the field and assisting some of those scientists in their research (of course you knew that since you know this site so well), of reading and studying years of scientific resource (which I do understand you discount as fraudulent in any case since it doesn’t jibe with your conspiracy theory) and they I feel as passionately – perhaps even more so – in my belief as you do yours? You have no idea about me and all these other people you lump into one group and to which you assert nefarious motives. Okay, you don’t like waxman-markey or, I suppose, any legislation coming from Washington. How can you conflate every scientist, every “environmentalist” (whatever that means to you), and every legislator into one bag of evil intent? I know I won’t get an answer from you, but I’d really like to know someday where this comes from. What are you afraid of? It can’t be me, and I don’t really think it all these mumbo-jumbo you’re spouting. There’s something in you and you’re like-minded “people you meet on the street” that is driven with an instilled and pervasive sense of fear. Of course, I don’t know you either, but it sure seems as such. You may believe that global warming is felonious and that I and “all the others” are trying to “brain wash the children” (oh, please), but the sad thing is that by the time you realize that you perhaps shouldn’t be so certain, that indeed, you are the one putting your children’s and their children’s future at risk, it will be too late to really do much about it. You are so sure you’re right that you’re willing to risk it, just to expose all us evil people out to grab power. Anyway, you’ve had your say here. You obviously have no intention of engaging in any real debate (why I say thanks for playing – true debate is real work). I am wrong you are right. Your comments are posted so you can show all your friends how you showed me and offer proof of you convictions. it’s time to move on, find another blog to haunt. You are the one either purportrating the myth or severley duped. Are all these prople wrong. I can fill a page on just the exposed IPCC lies never mind the ones we don’t know of yet. Then there is the relationships between the so called independent scientists, the politicians, greed, and power. Please address these, I seek the truth, I have no vested interest, do you?? I’ve addressed this one right here on this blog. Well, I guess that won’t help you. But this is a non-starter. Dig a little deeper, away from youtube perhaps. Though you’re only going to believe what you want: http://www.globalwarmingisreal.com/2009/06/29/epa-suppressed-dissent-scandal-promoted-by-embattled-and-bitter-senator-inhofe-is-the-greatest-hoax-ever-perpetrated-on-mankind/ Wait, haven’t we been through all this before, and you’re still here? Finally (for this round) you ask if “all these people can be wrong” Well, yes, actually. I guess they can be as wrong as the tens of thousands or more of people you claim have it wrong on global warming. Anyway, why don’t you just go to the actual emails I’ve linked to, I’m sure you’ll find them interesting and wish you were the one to provide the link. These are more of the sources and facts I am using to base my judgement. Just some of the shennagans by your so-called GW sceintists. The list just goes on, imagine if one such incident from the real scientist whom say GW is pure nonsense, probably be placed in a FEMA camp. The IPCC is headed by Robert Watson, an American who is also the chief science person at the World Bank (Director, Environment Dept.) Watson was hand picked by Al Gore and served in the Clinton/Gore White House Office of Science and Technology policy. I would appreciate you sharing yours, just incase I missed something. please for give any spelling mistakes. “incase” should be “in case”… well, you asked for spelling mistakes. Since I am very busy I will close the loop of associations for you myself. Now you can investgate and learn, that is if you care. Or be soley vested in self important beliefs and lead others the wrong way. I say this as a conservationists who dosen’t want to see all our time and money stolen. Those trillions of dollars these scammers are stealing from the people who are hard at work inventing effcient eco-friendly energy products preventing them from ever getting to the market. The World Bank – IMF is owned and controlled by NM Rothschild and 30 to 40 of the wealthiest people in the world. For over 150 years they have planed to take the world over through money. The former chief economist of the World Bank, Joe Stiglitz, was fired recently. He pointed out to top executives that every country the IMF/World Bank got involved in ended up with a crashed economy, a destroyed government, and sometimes in flames with riots. Jim Wolfensen, the president of the World Bank would not comment on his dismissal. These infamous international private bankers are only by chance involved in this? Just like they were by chance involved in Enron? Charter Oak Partners, an affiliate of Rothschild Realty Inc., which is an affiliate of Rothschild, Inc.
Want to know more about the Rothschilds? They were also behind the whole Enron debacle. Now they are in charge of the software that runs the voting machines. The other owners have simular NWO backgrounds as well. And finally, here are your thoughts and theories for the whole world to see. People can make up their own minds. On one of the myriad comments you’ve left you intimated that you had no agenda and challenged me about mine. As I’ve said before, whatever “agenda” I have is clearly stated here on this site. I have nothing to hide. For you to assert that you have no agenda is curious to me, for then you proceed to lay it out. Are you the one who is deluding yourself? Now, there’s no need to answer that, as I suspect I know what the answer will be. In any case, I really have given you your say here. You’ve “closed the loop” as you say. So be forewarned, since your “non-agenda” is here fully laid out for people to see, any further comments from you won’t be published. Seems like there’s no need, you’ve spelled it all out for us already.